Who is the Helpful Plumber? Boiler installs from only: £1500! Call us today to make HUGE savings on your new boiler - we can supply and install! Boiler installs - Call now on 07885 403609! Boiler fitting services. Call now on 07885 403609! The Helpful plumber is a central heating installation and maintenance specialist. We are Gas safe registered (number: 550020) which means we can legally and safely carry out boiler installs, repairs and servicing. We will beat any genuine like for like boiler installation quote. So rest assured that you will be getting the best value for money possible. Boiler installations from only £1500!! Your local boiler installation experts. We provide the lowest local prices! We can source and install the boiler of your choice to fit all budgets. We recommend Baxi for a new boiler install, due in part to the fact that we can offer our customers a fantastic ten year warranty on Baxi boilers! No other Gas safe plumber (that we know of) will provide you with a comprehensive TEN YEAR warranty! We regularly install Baxi, Worcester Bosch, Vaillant and ideal boilers to name a few (plus many other top boiler brands). We can install and repair any type of boiler including. 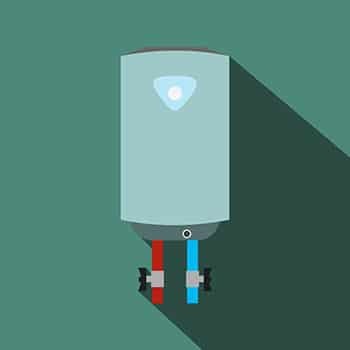 A new boiler installation could save you hundreds of pounds each year. With rising fuel bills, every little will help. We can provide and install “A” rated boilers. These boilers will save you money due to their being much more efficient. It is estimated that the average UK boiler is approximately 60% efficient! This means that your current boiler could be costing you an extra 40% on your fuel bill. If your average fuel bill is £1000, having a new boiler installation could save you £400 per year! Get in touch today for more information – what have you got to lose? Why choose the Helpful Plumber? We can help you slash your fuel bill. We help all of our customers make an educated decision as to which boiler they choose. We always recommend and suggest boilers that are A-rated for efficiency. We also endorse whcih “best buy” boilers to make sure you get the best deal. Customers want silent but powerful boilers. It is also worth mentioning that two identical boilers can perform very differently if one is not installed correctly. Boiler installations performed the right way. The Helpful Plumber guarantees that your boiler will be fitted and installed the best and right way. It’s not just about putting the boiler on the wall and attaching pipes and valves. We are boiler experts with over 6 years of experience. We will ensure that your boiler works in the most efficient manner possible. You can save me up-to £400 per year? With an A-rated efficient boiler, you’ll start saving instantly. The boiler will literally pay for itself. Want to know more about our boiler installation service? Get in touch with us to discuss your options. There is no obligation and we can discuss your options. Call us now on: 07885 403609, every day you leave it, you could be paying 40% more than you should be! How can The Helpful Plumber help you today?